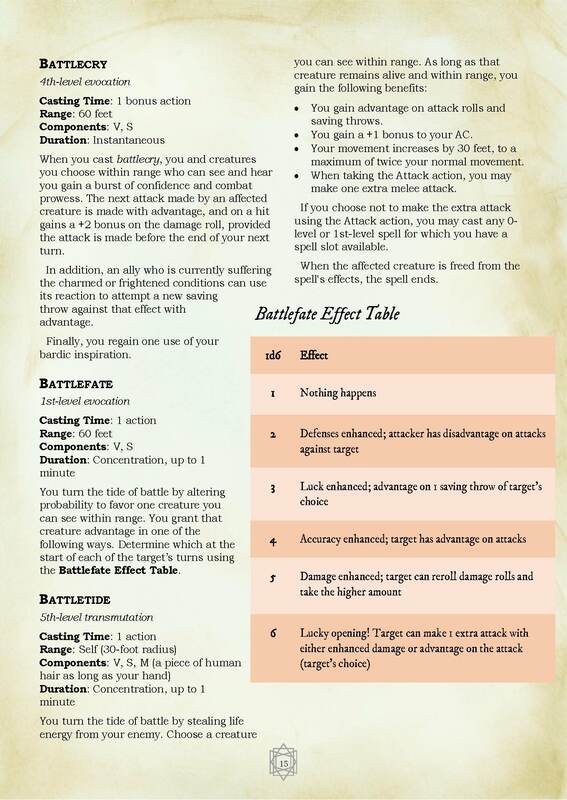 Did you ever wonder, "What happened to that spell I used to use all the time in our 3rd Edition game?" 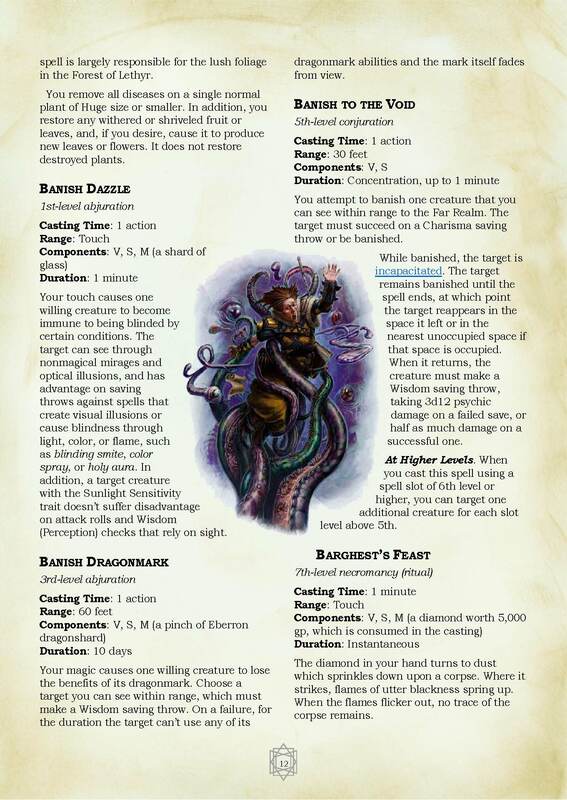 You look through your 5e Player's Handbook. Not there. You look through your other 5e books. Nope. Not there either. 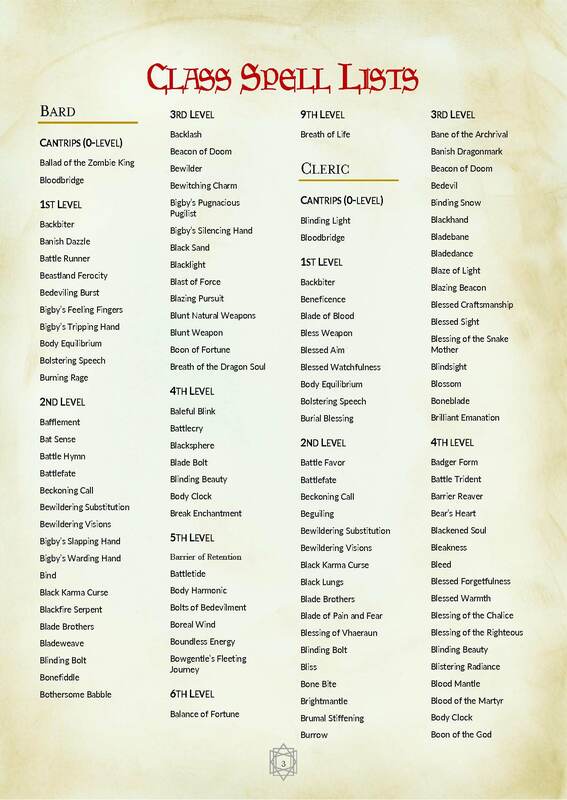 ComicBook.com says: "This is an insanely impressive document...a must have"
Fantasy Grounds conversion NOW AVAILABLE! Get it HERE! What is this, anyway? 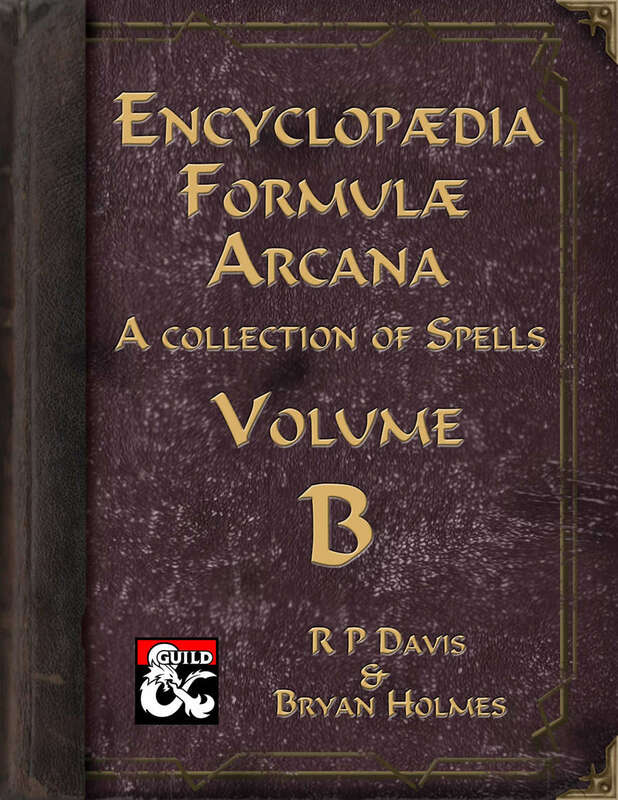 This is the second installment of a series of books which converts every spell we can find from 1st, 2nd, 3.x, and 4th editions, updates and prepares them for use in your 5th Edition game. This is the second volume. 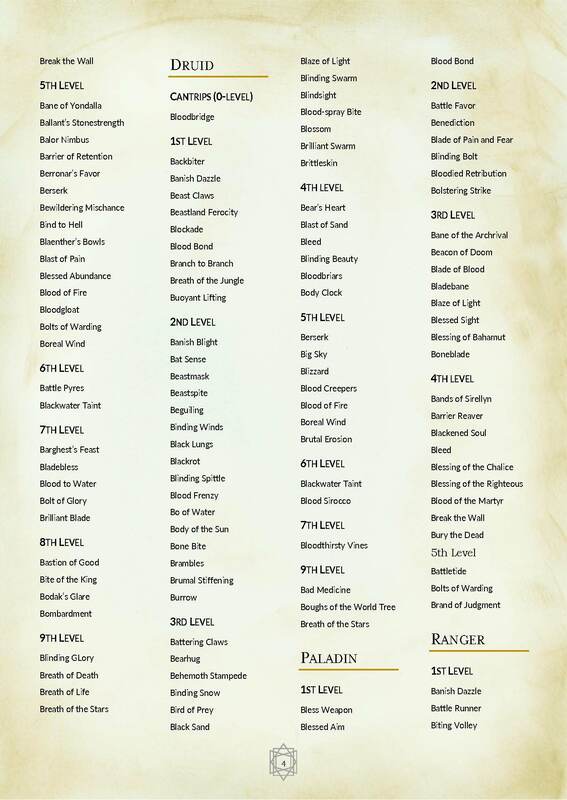 More than 200 spells beginning with "B"! Periodically over the coming months, look for other entries in the Encyclopaedia. We're shooting for a frequency of 1 volume per month, depending on how many emails we get telling us about a spell we omitted from a previous edition. There's a link at the author's website where you can sign up for an email list to keep informed. 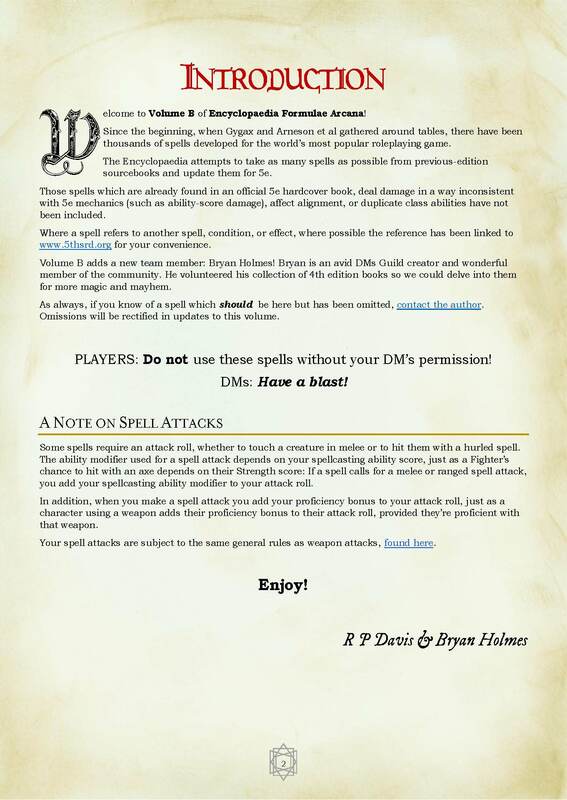 Also comes with a PRINT FRIENDLY copy so you can copy and paste the text into the spell-card generator or fillable PDF of your choice, giving you flexibility at the game table! Do you have your copy of Volume A? Click the image to get it! Bryan Holmes is a programmer by day, writer by night, and Canadian all the time. His guild work includes "The Nobility of Waterdeep", "Backgrounds of Faerûn", and "Feats of the Forgotten Realms". 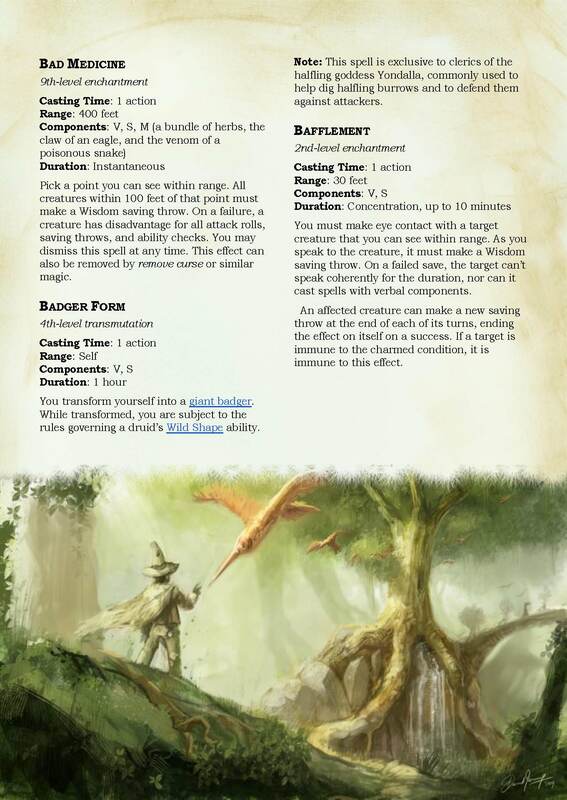 The latter two of which have been featured multiple times in the D&D Character Lab podcast. This isn't exhaustive of course. I play a cleric so I paid attention to that progression of spells. Thanks for that, Blake! I'll make sure your observations are corrected.